After you experience a serious injury, you likely go to the emergency room or your family physician for treatment. In these settings, wound care is focused on minimizing damage and blood loss. Dr. Frederick T. Work, Jr., combines effective wound care with cosmetic considerations. Our Wound Care Before and After Pictures show you the benefits of receiving wound care treatment at the Atlanta Center for Breast and Aesthetic Surgery. Today’s medical community faces challenges with an increasing number of emergency cases and stipulations of medical insurance that mean someone like you receives care in the shortest amount of time. If you suffer an injury, you will be safely treated, but little consideration is given to the appearance of the area after healing. As a plastic surgeon in private practice, Dr. Frederick T. Work, Jr., does not face the same time limitations as general practitioners and emergency room surgeons. He takes the time to treat your wound in a way that ensures an appealing appearance. 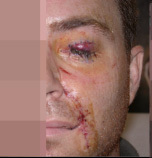 Our Wound Care Before and After Pictures show you his skill and experience translate into a better outcome for our patients. Dr. Frederick T. Work, Jr., is an experienced plastic surgeon who routinely performs advanced wound care techniques, such as microsurgery, skin grafting, tissue expansion, and free flap procedures. 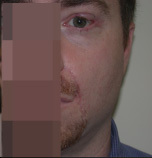 After you see the results in our Wound Care Before and After Pictures, contact us to schedule a personal consultation.